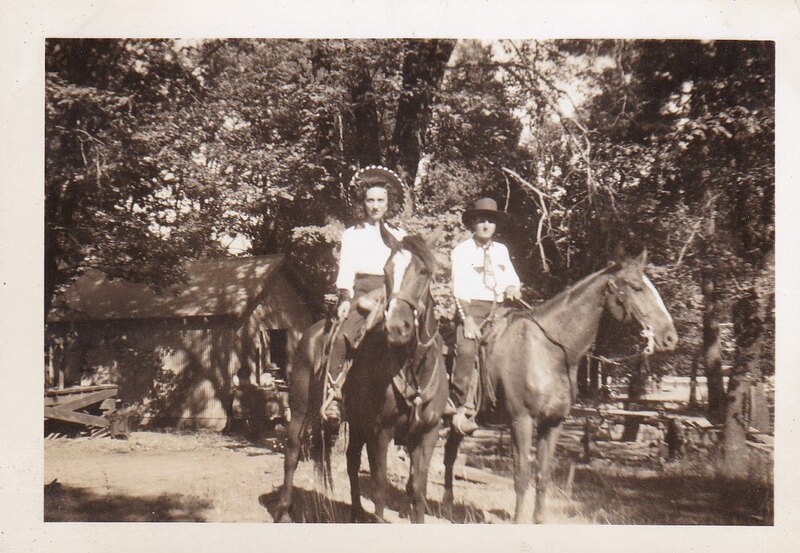 For this week’s Throwback Thursday, I selected a picture from the Table Mountain Ranch. 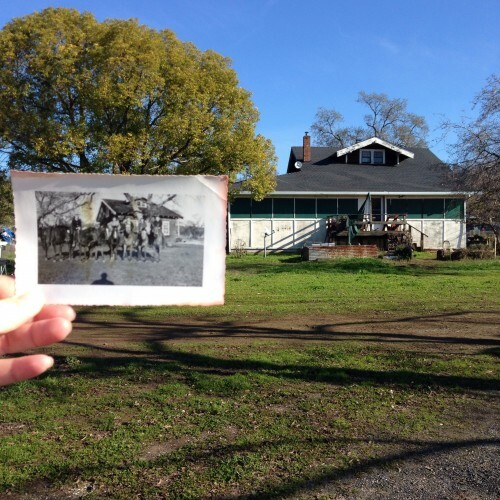 I thought this picture was interesting because it was taken before the ranch house had it’s additions. Several rooms were added to the original house during the 50’s or 60’s. I recognize the last names of several of the people in this photo. The Neer’s and Brown’s are still friends. In fact, Wes Neer is my second cousin, Jenna’s, (or something like that like) Grandfather. If you recall, she is responsible for getting the best pickle recipe ever back in rotation. I love that I have this connection and history to these ranches and these people. It makes me that much more eager to protect my way of life. In front of the Ranch on Stampfli Lane. The photo itself was taken on our ranch in Indian Valley. In front of the old ranch house on Stampfli Lane. Sammie Brown was my Great Uncle. He died of polio in 1954, the day my father was born. Look here to see my Dad’s birth announcement in the same paper. Could you imagine what a week it must have been for my family? I know Sammie was a expert horseman that dedicated a lot of his time to teaching others. I ended up with some of Sammie’s pictures, a school book of his, and his death book from his funeral. I am excited about this. 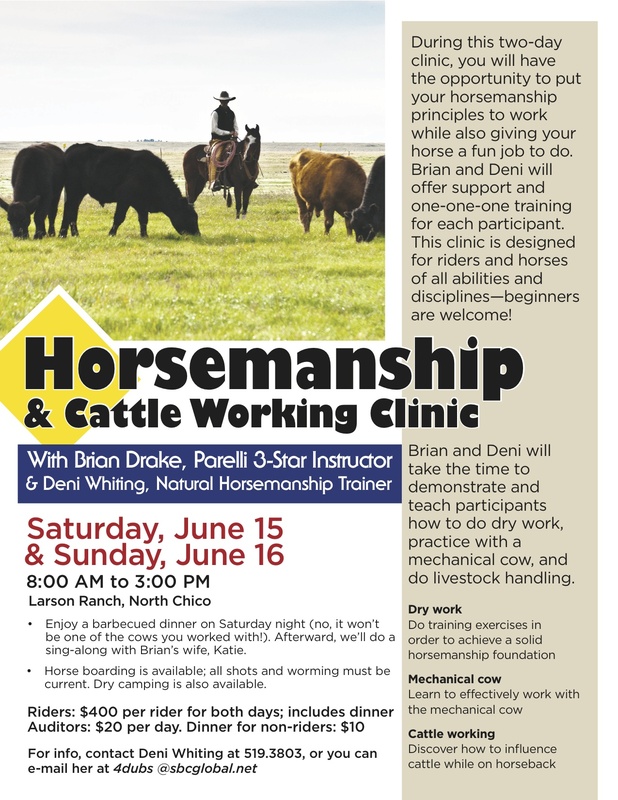 My friend Brian Drake is doing a Horsemanship Clinic. And guess what? He’s gonna use Sue horse! I am super exited about this and I urge you to attend if you have any interest. I’ve had the privilege to ride with Brian, and it was a life altering experience. Seriously, do it! My first memory of Leo is my Dad telling me he found a new horse. 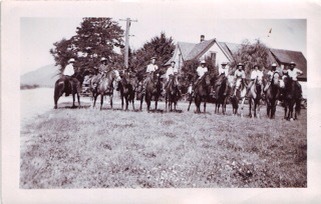 My Great Aunties used to raise all of our own horses on this ranch. Of course, as a small child I didn’t realize how amazing that was. I just knew their were lots and lots and lots of pretty horses for me to play with and look at. My Dad promised me that soon, he was going to take me to meet this new baby horse that was to be his. Leo as a two year old – learning how to be a horse. When I was a little girl all ranch work was done on horseback. This was back in the early 1980’s, we didn’t have polaris and 4-wheelers like we do now. If you wanted to check on your cattle, you had to saddle up and take off at a high trot come back, get lunch, get a new horse, and take off at a high trot*. Everyday (it’s not as romantic as it sounds, trust me, there really is something to be said for a 4-wheeler). But that was why we had a lot of horses. Plus every time my Dad would get a horse good and broke, the Aunties would sell it. It was a point of contention for my Dad. When Leo was born, my Dad decided he liked him. My Dad kept an eye on the colt as he grew up, and would occasionally go feed him an extra flake of hay, just to say hi. As yearlings, all of our colts were put in this field called the Century Plant Field. They were put there to ‘make them into horses’. This field has rocks, cows, wild animals, mud, streams, hills, basically a great place to learn how to be a worldly horse. And that is where I met Leo for the first time. He was a pretty big horse. It was a grey winter day, and I remember I got to spend the day with my Dad for some reason. As a treat, my Dad took me out to meet Leo. As we drove the hay truck out into the field, Dad told me to stay in the truck until he opened a bale of hay because Leo didn’t know me yet and I would scare him. I remember thinking that was absolutely ridiculous because every horse that I had ever met in my short life just loved me! I was the official ear scratcher and treat giver on the ranch. Even the bottle calves had the crap scared out of them by Leo. My Dad parked the hay truck and the colts came trotting over. I couldn’t stand it and popped out of the cab and into the back of the truck with my Dad, causing a lot of snorting and shying away of the colts. My Dad was right, they didn’t like me. But he opened up the hay bale and started tossing flakes out and they came back over again. Leo even allowed my Dad to scratch his ears and rub his neck. It was a big deal for me to ride Leo when I was little. I mean Leo was MY DAD’S HORSE and very powerful and fast. This is Leo telling me I’m not doing it right – he was really good at that. Since my Dad knew he was going to keep Leo, Leo got sent to an actual horse trainer, instead of being started here. The trainer fell in love with him too. She even entered him in a few horse shows before she would give him back, and he did really well. Once Leo got trained and people were normal to him, he turned into a big love-bug. As Leo got older he was perfect for evening rides with my friends. Leo and I became good friends as well. He liked to be loved on and given treats and that was totally my thing! I found out that if you sat on the top of the fence (which I wasn’t supposed to do), he would come over and put his head in my lap for pets! To a five year old, that is pretty much zen. 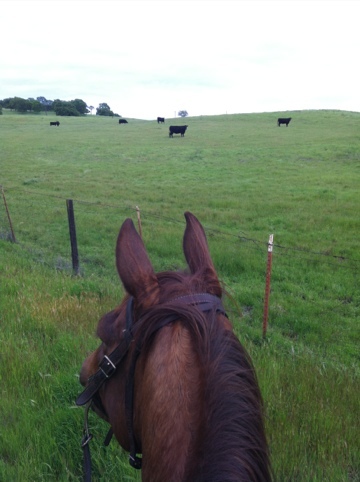 Leo was my Dad’s horse for the first 10 year’s of his life, they roped, they cut, Leo was the ultimate cow horse. Indeed if a cow or calf started falling behind Leo had no problem reaching over and biting that cow. Even out in a field, if a cow got too close to Leo, he would bite or kick. Leo took his cow-horse job very seriously. He was great for photo sessions! Thanks http://jldphotographblog.com! My Dad has slowly become the bionic man (ranching is tough work, kids), and riding is no longer comfortable for him, so Leo slowly become a guest horse. He was the type of horse you could let a greenhorn ride and they would generally be ok. Leo’s only vice was if he knew you would let him get away with something, he would. But once you became friends with Leo he would be your pal and take good care of you. Leo had some accidents during his lifetime, his hoof almost got cut off when he got stuck in some wire. He had pigeon fever really bad, he gained a lot of weight really fast in the spring, always causing us to panic. And an accident involving a nail and his chest – some ugly stuff. But he made it through and soldiered on for 30 years. Daniel and Leo spent a lot of time together this spring. Leo loved the attention. Leo died today. My Mom came and got me this morning because Leo was in distress and couldn’t get up. He went very quickly after we both said goodbye. He seemed to have waited until we were all able to acknowledge he was going. We had a scare with him last winter. That’s why we knew we needed to get Joe a friend, so Sue got adopted. We knew Leo didn’t feel good yesterday. But it really seemed as if this morning he wanted to be with us as he went. What a honor, but that was the type of horse he was. He thought of his people and his pasture friend before himself. 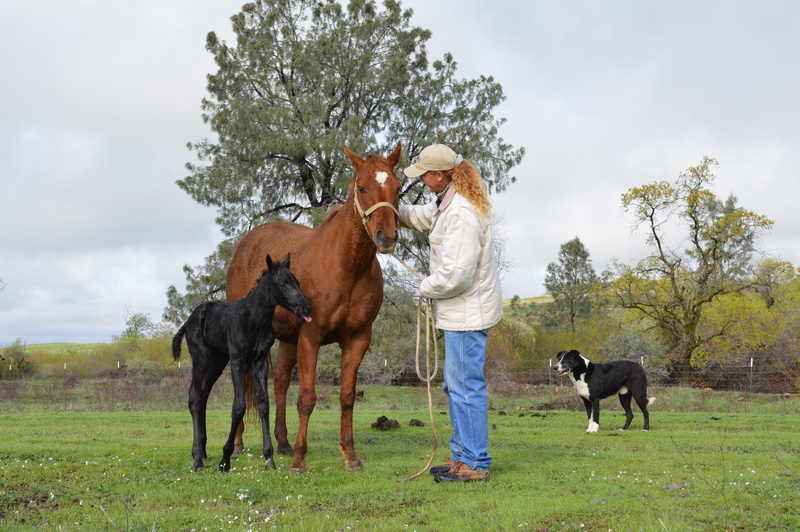 Leo is the last of a golden era on this ranch and for this family. 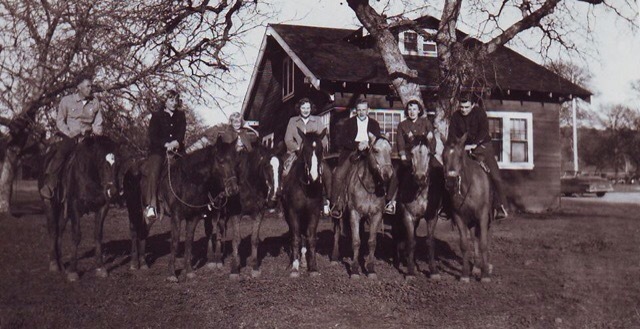 As I look through pictures of this family dating all the way back to the 1800’s our horses have always been very prominent and proud. Leo is the last horse from that era that was bred, born and died here. Thank you Leo. Thank you. I gave Leo lots of extra treats this summer. Including a bunch of peaches, he loved peaches! We were very lucky to have Leo in our lives for the past 30 years. I have so many wonderful memories of him and my family. Right now it feels a bit like we have lost a family member. Thank you Leo, you will be missed very much.